Kansas State football saw great performances from both of its returning quarterbacks in the 2018 annual Spring Game on Saturday. The Purple team would rally for a 31-28 win over the White team. Coming off of its second-straight bowl win and an 8-5 year, the Wildcats returned lots of familiar faces. However, many of them were sidelined on Saturday–mostly due to minor injuries. Still, the Wildcats showed flashes at times, but also inconsistencies on a wet and cold spring day. 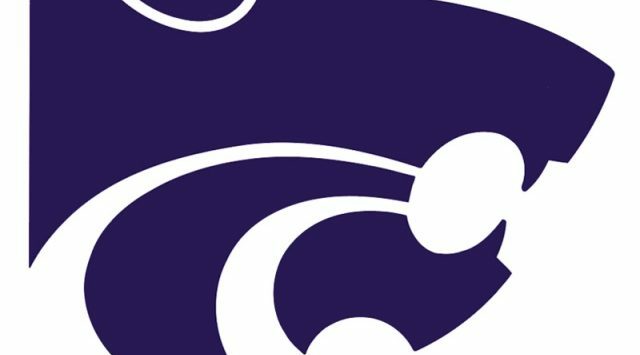 Once again, the biggest question mark for K-State in 2018 will be at the quarterback position, as the Wildcats started three different players last fall in that position. Gone is Jesse Ertz, so now the spotlight turns to both Alex Delton and Skylar Thompson. Both Delton and Thompson showed improvement throughout the game Saturday as both players were efficient through the air. Both played for both purple and white teams. The Purple was the first team offense with the second-string defense, while the White had the starters defensively, with the second-unit and other reserves on offense. Thompson was steady, leading both teams on scoring drives, however, mostly playing with the Purple squad. Thompson completed 13 out of his 19 throws for 149 yards and a touchdown. As good as Thompson was, Delton might have been a tad bit better. With both quarterbacks rotating between the purple and white squads and taking equal snaps, Delton–who is known for his running ability–showcased his arm as he was pinpoint accurate for most of the game. Delton finished 16-21 through the air with 144 yards and two touchdowns. Wildcats’ head coach, Bill Snyder was for the most part, pleased with both of the quarterbacks. Thompson would touch on a number of topics, including his play, during post game as well. 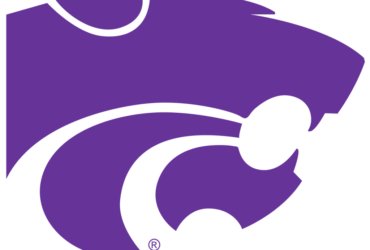 While both of the quarterbacks played well for K-State, the Wildcats would also see good performances from running back, Alex Barnes, who rushed for 98 yards with a touchdown. The offensive line also played well on Saturday. K-State’s defense and special teams would struggle at times. As the defense played very vanilla and had several key contributors from last year’s unit out for the day. K-State also missed two field goals on Saturday. The White team took a 14-0 in the first quarter, after both Delton and Thompson led the unit to scores. The White team was also led by red-shirt freshman standout, Chabastin Taylor, who pulled in five catches for 118 yards with two touchdowns–including one from Delton. Thompson would also connect with Taylor on a 41-yard completion to end the first quarter. The Purple team would rally however, the unit would score 14-unanswered to tie the game at 21-a-piece at halftime. With the game in the balance with just under 10 minutes left, kicker Andrew Hicks nailed a 44-yard field goal to put the Purple team ahead for good. Entering in to his 27th year as head coach of the Wildcats, Snyder said that he was pleased with some aspects of the game, however, said the team as a whole needs improvement before the first game of the fall. Snyder would touch on a multitude of topics with his post game comments. With the conclusion of the 2018 Spring Game, the K-State football team now wraps up its spring practices and awaits for practices to rev up in the fall. The Wildcats will begin their 2018 campaign at home with South Dakota on Sept. 1.